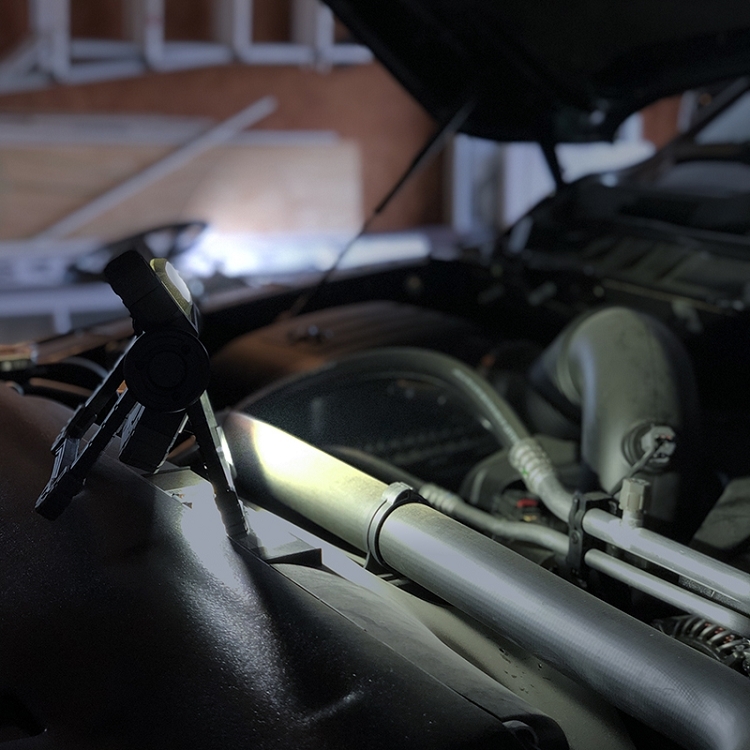 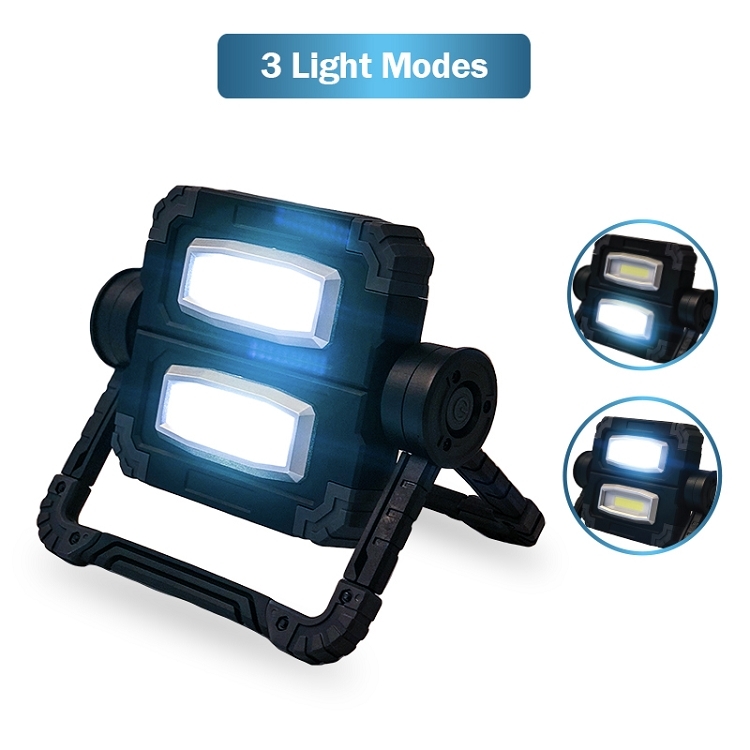 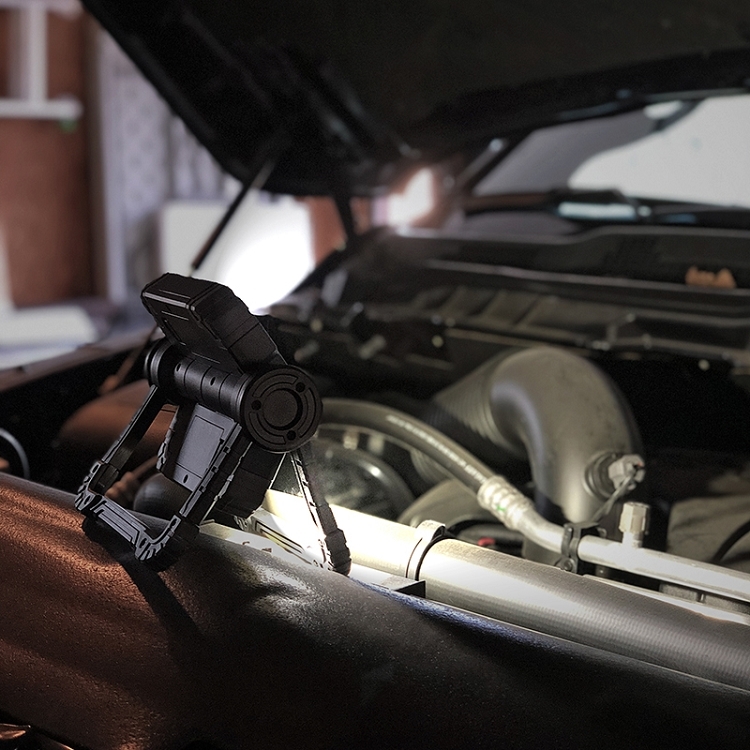 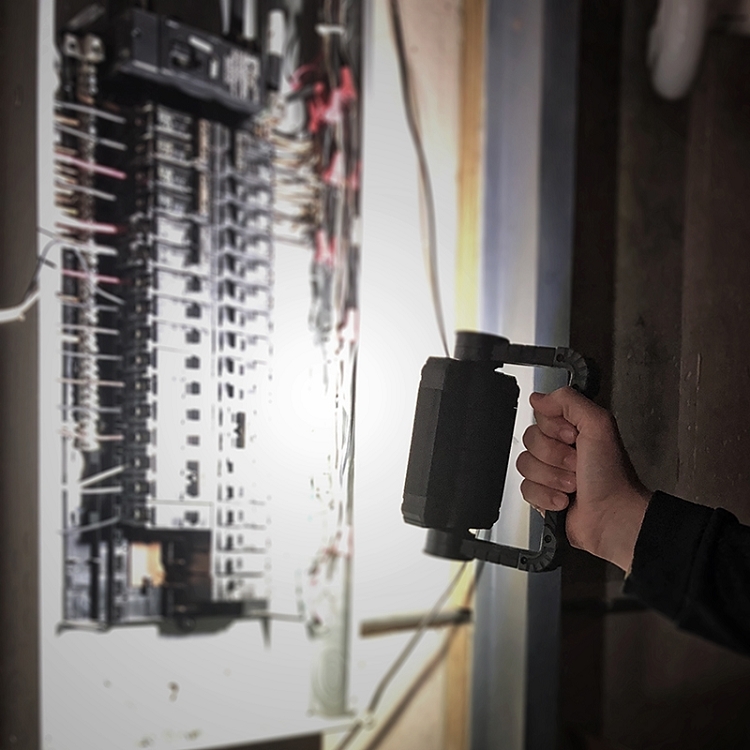 The Gemini Dual Beam Work Light is the ideal companion for any on-the-go job. 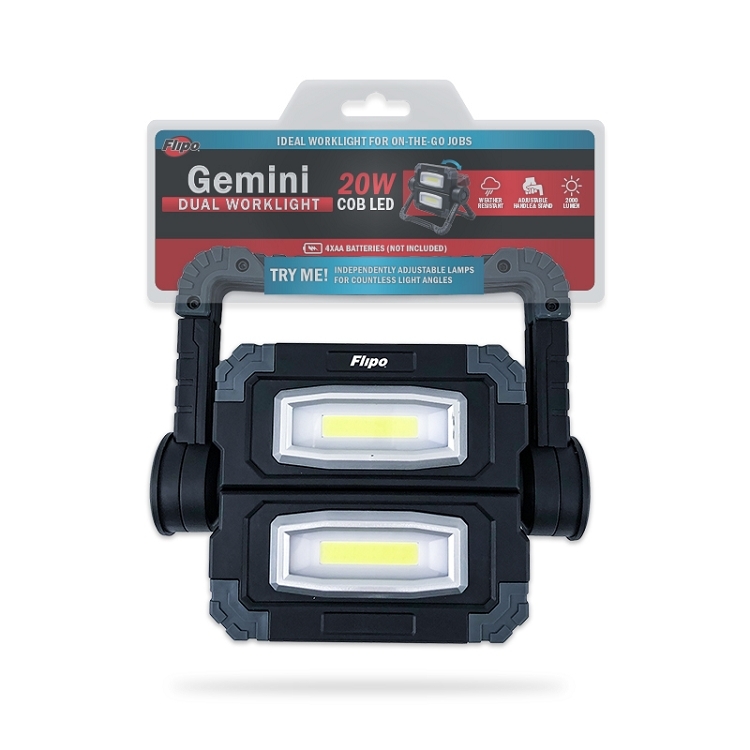 Compact and portable, the Gemini requires no electric outlet and provides up to 2,000 lumens of ultra-bright illumination. 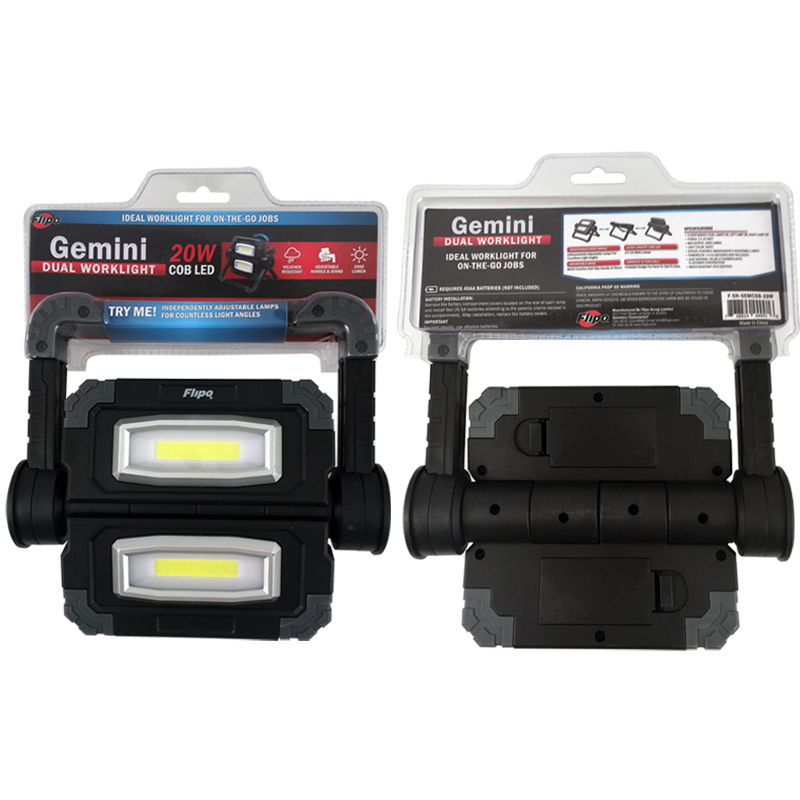 The Gemini has two 10W COB lamps that can be independently directed in multiple directions. 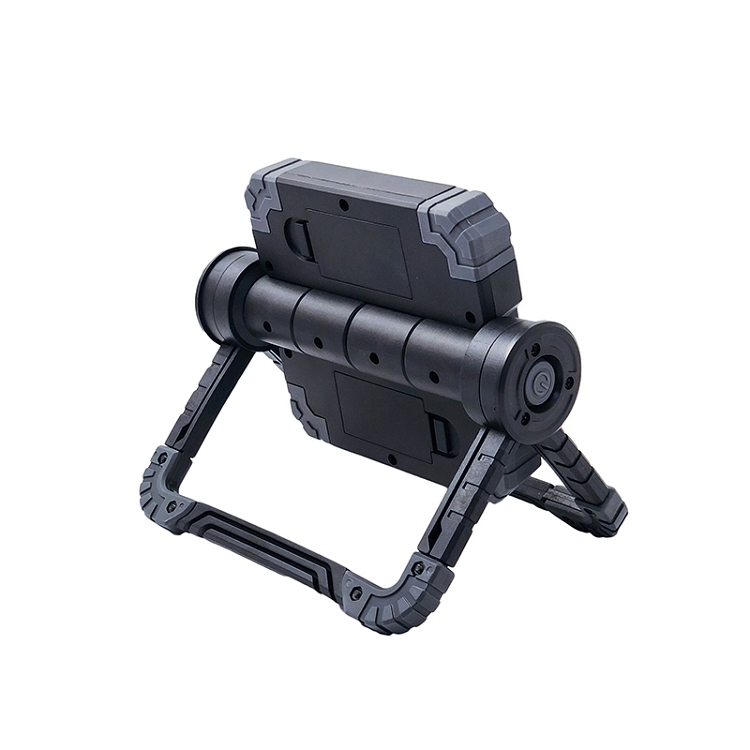 The Gemini's base is also adjustable, and can be used as a handle or multi-functional base. 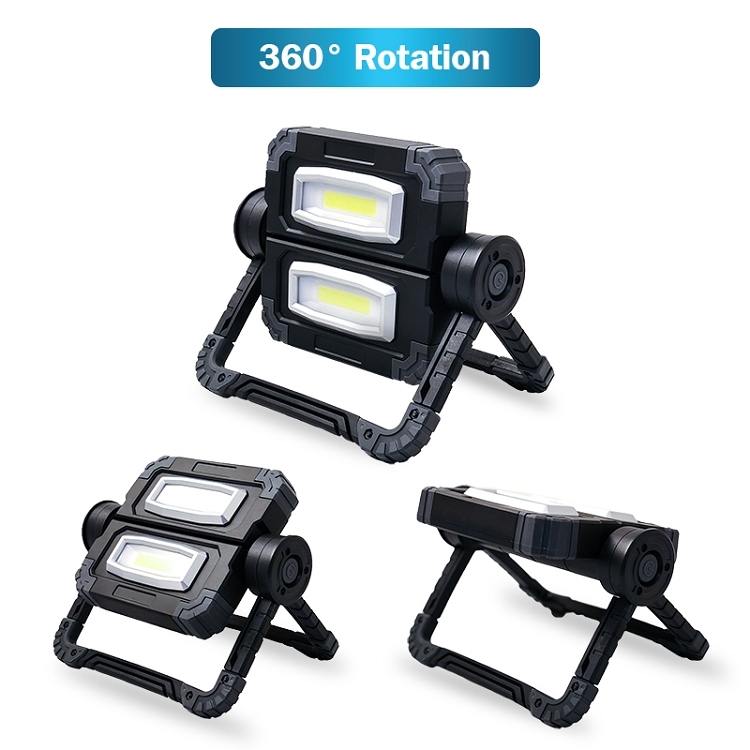 Made of durable nylon and thermoplastic elastomers, the Gemini is both drop and water resistant. 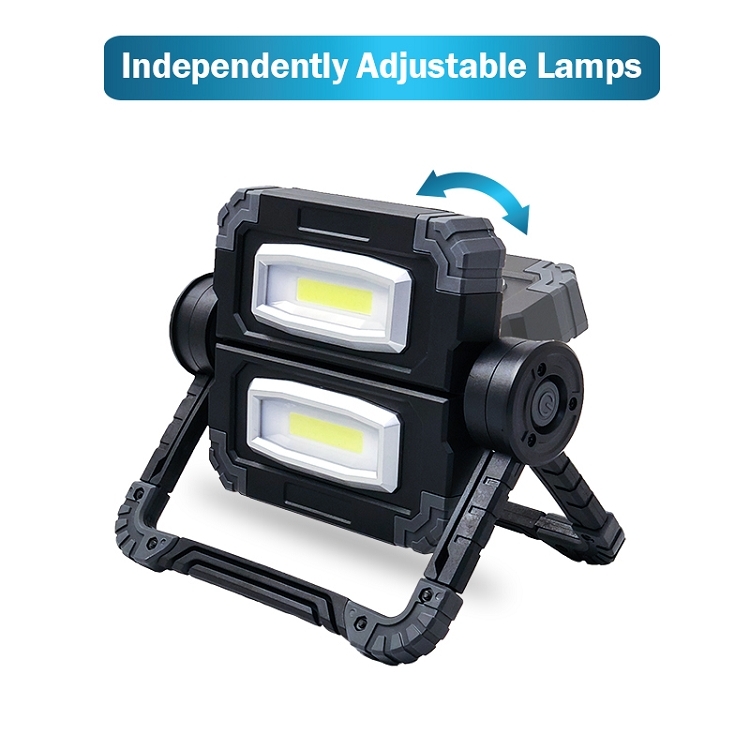 Measures 8" x 5 1/2" (closed), 8" x 9" x 2" (open), and requires 4 AA batteries (Not included).